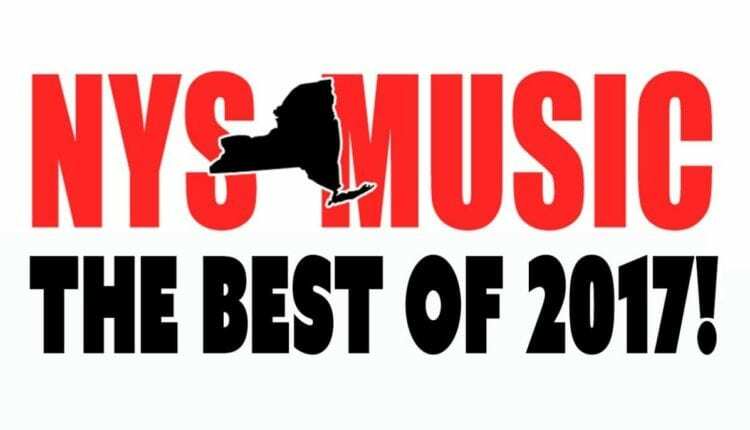 NYS Music is celebrating the end of 2017 by sharing our staff and reader picks in 10 categories, and today we are highlighting the winners of the Best Venue in New York State. This new venue in the heart of the East Williamsburg neighborhood of Brooklyn has been quite busy in its first year of existence. Playing host to such acts as Ween, Pigeons Playing Ping Pong, Turkuaz and Yo La Tengo, this 1,800 person capacity room prides itself on open sight lines and great acoustics thanks to a roof specially designed to keep in sound. The venue’s name is derived from the previous use for this building on the corner of Frost and Debevoise streets, steel fabrication, and patrons are constantly reminded of this with a minimalist decor furnished with scrap metal. Owned by Bowery Presents, the similarities between Brooklyn Steel and Terminal 5, another Bowery Presents-owned NYC music venue, are unmistakable. Both rooms have an industrial feel to them, highlighted by the standing room only viewing areas that surround the stage on both sides. With fairly easy access thanks to the L line Subway stop nearby and featuring a room with good sound and sight lines, it’s a pretty easy prediction that Brooklyn Steel will be a staple of the city music scene before long. Here’s an interesting time lapse video showing the remarkable transformation of an old steel factory into a first rate concert venue. Located just a short drive outside the city is Port Chester, home to the historic Capitol Theatre which is constantly housing first rate bands and artists. It was originally designed and used as a theater for cinema and Vaudeville acts when it first opened way back in 1926, but it’s since been redeveloped as a music venue and has seen a wealth of musical royalty pass through its doors. 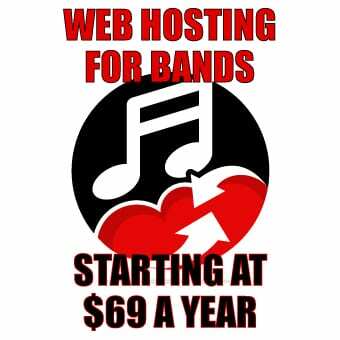 Acts like Pink Floyd, Janis Joplin, Traffic and The Grateful Dead, who played 13 gigs there in a one year span from 1970-71, all drew large crowds there back in the day just as acts like moe., The Disco Biscuits, Twiddle and Joe Russo’s Almost Dead do now. Affectionately known as “The Cap,” this building has all the looks and feels of a classic music hall with modern day amenities. An open floor area generally has more than enough space for concert goers, even for shows that are sold out, while the expansive mezzanine offers seats as well as additional bars upstairs. And if that’s not enough, the adjoining establishment to The Cap was bought out and turned into a bar as well, appropriately named Garcia’s. Peter Shapiro, who also owns Brooklyn Bowl, has done a nice job of refurbishing and putting the Capitol Theatre back on the map as a first rate home for live music in New York State. Here’s a clip of moe.’s performance from last year that gives you a little idea of the views and the usage of the walls to double as projection screen of sorts at The Cap. The last of our staff picks for best music venue in NYS is that oddly shaped building you might have seen at Empire State Plaza in Albany. Completed in 1978, this circular shaped performance venue actually holds two different theaters inside with the 982 seat Hart Theatre being the one mainly used for concerts. Although the smaller, 450 seat Swyer Theatre that resembles more of a lecture hall than a music hall recently played host to an acoustic evening of Keller Williams tunes. As you would expect from observing it from the outside, The Egg has no sharp angles or straight lines inside with almost everything having a gentle curve to it, even the walls as they meet a gently concave ceiling above them. This results in not only a relaxed atmosphere for a show, but impeccable acoustics as well. Phish’s Mike Gordon even put out a live release that was recorded here simply called The Egg. It may not host the large, national touring acts that can fill an arena, but for a pure musical experience with pristine sound in a sit down environment, it doesn’t get much better than The Egg. Here’s a clip of the aforementioned Keller Williams playing piano in the smaller Swyer Theatre that gives you a taste of the sound and intimate feel of the room. The NYSMusic.com readers have spoken and, in a bit of a surprise, the Bearsville Theater located in Woodstock came out on top when the polls closed. This iconic, yet quaint, music hall is located on the outskirts of town and a perfect location for an intimate evening. Stop next door at Bear Cafe for fine New American dining options before the show, then saunter next door and enjoy the warm ambiance of the lounge and bar inside, before entering the venue and enjoying the incredible acoustics of a popular venue in one of New York’s most iconic towns for arts and music. Stay tuned all week for more of our series of the Best of NYS Music. Timothy “T-Bone” O’Shea currently resides in Denville, NJ. He attended St. Joseph’s High School in Metuchen before studying Broadcast Journalism at the S.I. Newhouse School of Public Communications of Syracuse University, where he graduated in 2002. During his college years, he attended and reviewed many live shows in the Syracuse area at such venues as the Landmark Theatre and Armory High (fka Styleen's). He currently works at a large law firm in Morris County, NJ. Hobbies include reading, visiting the Jersey Shore and, of course, live music. A veteran of over 150 Phish shows, he also counts The Disco Biscuits, moe., Ween, Umphrey's McGee and Belle & Sebastian as his favorite acts to see live.